Here is the list of the hotels near Argelos. Book your hotel near Argelos today, Wednesday 15 May for the best price, reservation and cancellation free of charge thanks to our partner Booking.com, leader in on-line hotels reservation. Below here is the list the 50 closest hotels of Argelos, sortable according your criteria. You will find the position of these accommodations on the Argelos hotels map. Hotel Les Arceaux is located in the centre of Saint-Sever in the Landes department, just 17 km from Mont-de-Marsan. It offers free Wi-Fi internet access and guests are invited to relax on the terrace. The air-conditioned guest rooms at Hotel Les Arceaux include a flat-screen TV and a wardrobe. They feature parquet flooring and a private bathroom with a shower. Traditional, local cuisine can be enjoyed in the on-site brasserie and drinks are served in the bar. A buffet-style breakfast is available every morning in the breakfast area. A tennis court, a cinema and free public parking are found nearby. 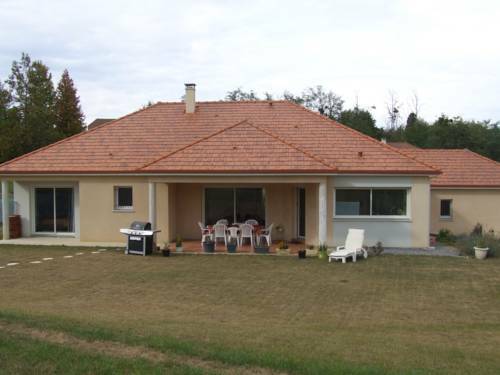 The property is 38 km from Orthez, a 1-hour drive from Pau and 48 km from Dax. House Maison lacabane is set in Saint-Sever. Guests staying at this holiday home have access to a fully equipped kitchen. The holiday home comes with a TV. Mont-de-Marsan is 17 km from the holiday home, while Saint-Paul-lès-Dax is 48 km away. The nearest airport is Pau Pyrénées Airport, 64 km from House Maison lacabane. Below here is the hotels map of Argelos. Names and details of Argelos hotels can be shown on the map clicking on the prices icons.